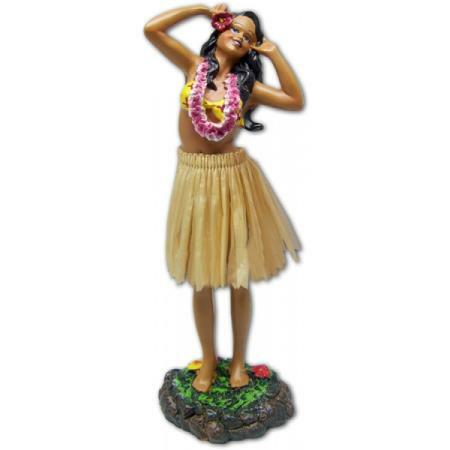 Beautiful Hawaiian Girl for your dashboard. Hand painted and with lots of detail, a spring at her waist makes her dance as your car moves. She fixes to your dash with a self adhesive pad and gets shipped in a presentation box. 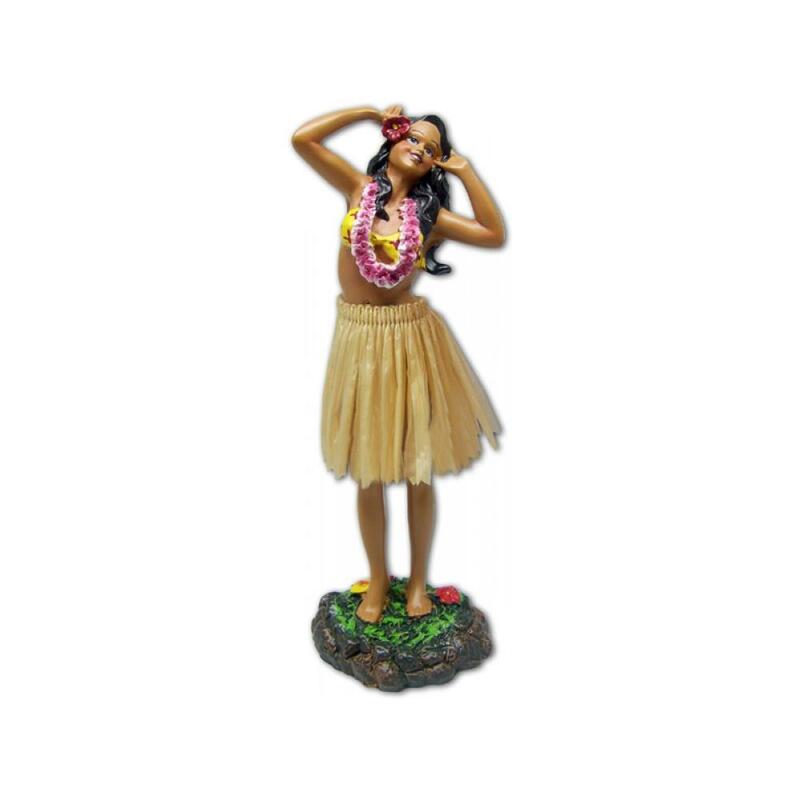 Once she's in your car, you'll have a hard time keeping your eyes on the road, because, BOY, CAN SHE DO THE HULA !